One of the largest musical instrument distribution companies in the USA, Sweetwater has a sole mission to satisfy every customer that walks through the door. Sweetwater needed to make sure that the walkways surrounding their headquarters and the entrance to their buildings were safe for their employees at all times during the year. Situated in the North of the USA, just three hours east of Chicago, snow in winter is inevitable, putting employees and customers at risk when walking around the facilities. Warmup teamed up with Wabash Electric Supply in Fort Wayne to install Warmup’s snow melting mats; a sturdy electric cable attached to a heavy-duty mesh that is put beneath the concrete surface and heated to melt snow and ice in winter. Accompanied by a Warmup Commbox Controller and AirSense sensor, Sweetwater can control their heating effortlessly and efficiently, in zones or over the entire estate, continuously or in customized sequences. 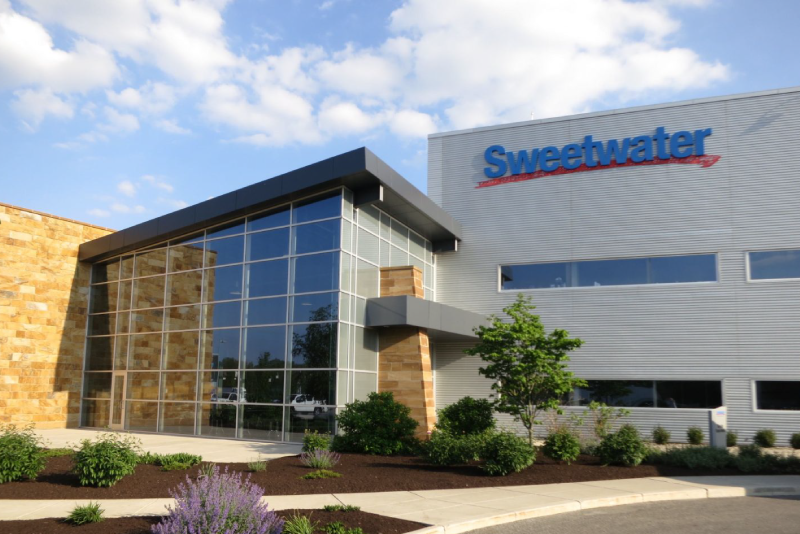 By melting the ice and snow around the walkways of their headquarters, Sweetwater have made the arrival for their employees and customers stress and injury free.